The most popular form of ribbing. It is obtained by alternating knit and purl stitches in one row and “knitting by pattern” in every next row. This means that we make a knit stitch when previous row stitch looks like V and make a purl stitch when the previous looks like a bump. 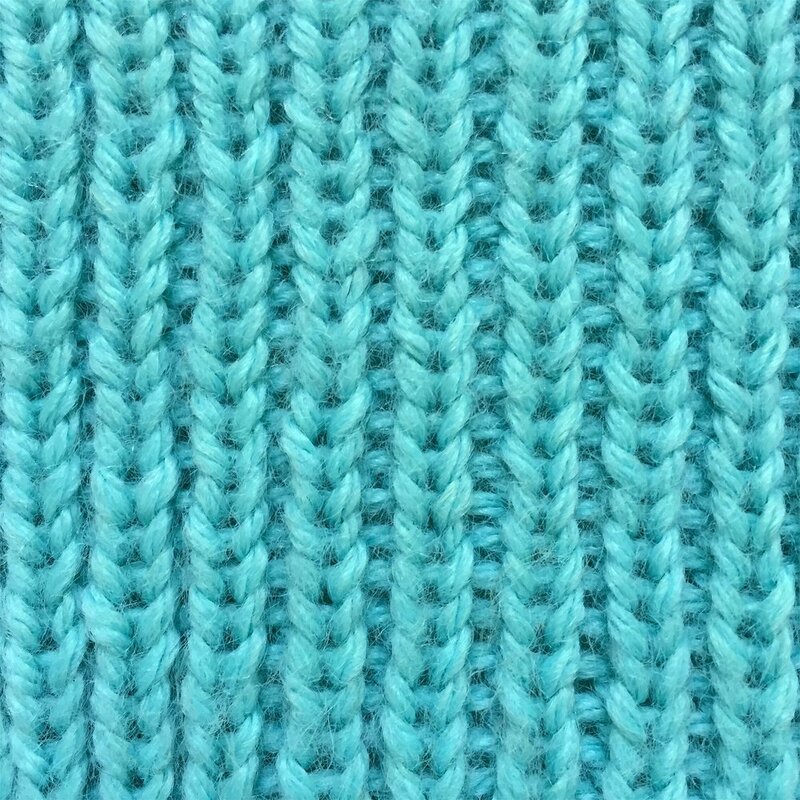 Rib Stitch is great when you need to add some elasticity to knitted fabric. It is often used for sweater cuffs and necklines, as a border for hats, mittens, and socks, or even for the whole garment to make it ideally fitted. Row 2 (WS): (k1, p1) till the end of the row. Row 2: (k1, p1) till the end of the row.